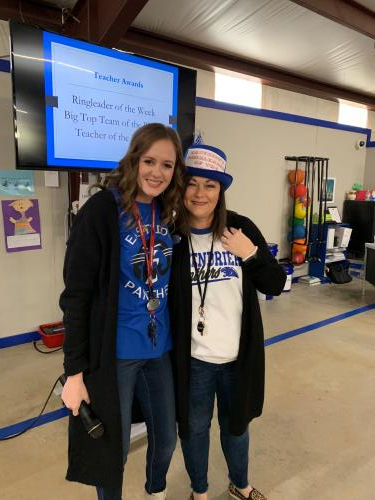 On Friday, Eastside celebrated Spirit Day for January and February! We had a great time celebrating successes of both students and teachers. We awarded teachers of the month for the past few months with a certifcate and sonic gift card from PTO. 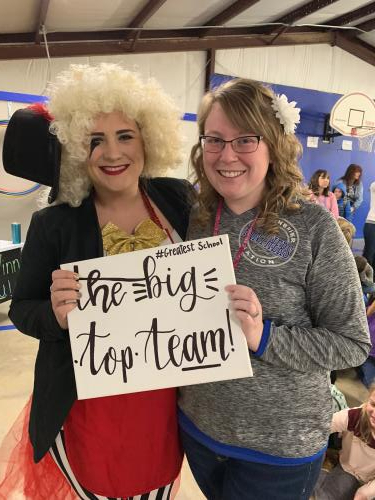 We named a new Ringleader of the Week-Mrs. Hogg, and a Big Top Team of the Week-our 3-5 Literacy Team (Mrs. McWilliams not pictured). 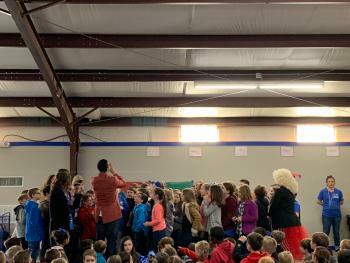 We also celebrated perfect attendance of students with a drawing for a book. One student per grade level walked away with a great new book to read! 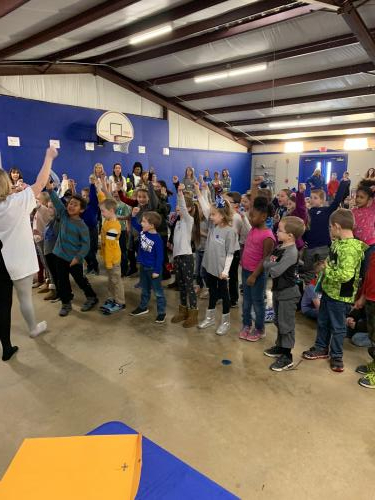 We also introduced a new attendance initiative-perfect attendance will have a fun day at the event center and a sonic drink delivery, 1 day missed will have a movie and popcorn in our cafeteria, and 2 days missed will get an extra recess and a popsicle! This is a great way to encourage your students to be at school the next several weeks! This will run through March 15-right before Spring Break! 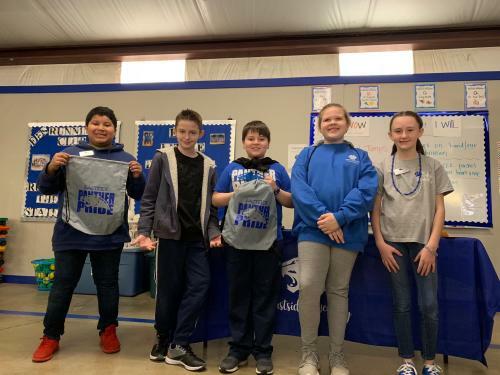 We also celebrated students who were dependable and engaged for each classroom and acknowledged them as Students of the Month! Finally, we ended our fun with reading the first chapter of our new spring Read as One book-The BFG! Mr. Paladino, an Eastside dad, read aloud for our students! We can’t wait to hear all the adventures that happen in our newest story! We had a great time celebrating and encouraging students and teachers! Everyone works so hard at Eastside, it’s great to take a moment for some fun!